A female serial killer targets unscrupulous landlords. "Money, Money, Money – it always brings out the worst in people." In modern day cinema, the tales of crime-centric thrillers have become fairly run of the mill. A goodie detective or detectives use their wit, charm and skills to solve a crime or crimes committed by the fairly common baddie, Mafioso boss etc. etc. – we’ve all seen it before, the same story but warped to fit different circumstances. Surprisingly, though, this isn’t Monochrome. Written and directed by Tom Lawes, the film takes place in modern day Britain. Emma (Jo Woodcock) is the much younger girlfriend of a multi-millionaire banker in London. After having an already troubling past, she’s left homeless, disillusioned and alone after her boyfriend is arrested for fraud. Looking to evade the police and her responsibilities, she escapes the city and ends up working for different wealthy land owners for free to keep her head down. All of them, however, are abusive towards her and as a result, they all meet their ultimate demise by the hand of Emma. At the same time, Gabriel Lenard (Cosmo Jarvis) is a struggling young adult looking for his calling in life. His unusual yet beneficial neurological condition of Synesthesia earns him employment by a new crime fighting agency - the BCA (British Crime Agency). Hired to initially investigate the first death, Gabriel soon becomes immersed in tracking down the unlikely serial killer (Emma) and in doing so, unravels more than he’d anticipated. The synergy created by Lawes between Gabriel and Emma (the two main protagonists) is hauntingly refreshing. Throughout the film, we hear the two characters’ inner monologues dubbed over multiple sections. This technique is particularly well utilised during Gabriel’s inspections of the crime scenes. Accompanied by visual flashbacks, the narration of their own perspectives really highlights the ferocity and harsh reality of the killings. 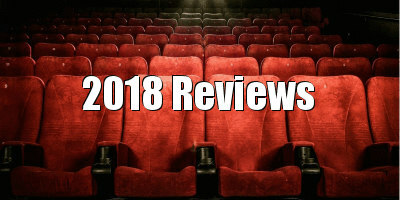 Indeed, not only does it allow for a deeper understanding of Emma and Gabriel as characters, but it also adds a real uniqueness to the way the characters in question develop: their nature and reasoning behind their actions are slowly revealed, and this creates a really absorbing build towards the film’s climax. Additionally, despite some inescapable familiar themes of films based on crime, Lawes engineers a distinctively fresh plot for his movie. Instead of the typical crime-genre story mentioned already, Monochrome follows both the lives of the two leading roles and blurs the lines between the ordinary ‘hero’ vs ‘villain’ scenario. The writing makes it so that the petty procedure of distinguishing between the sides of good and bad isn’t applicable here. There’s an essence of rationality as both protagonists are as human as each other; as we are shown, both of them have waded through their fair share of challenges in life. While it goes without saying that the crimes committed are abhorrent and should be punished, you can’t help feeling sympathetic for Emma. The character clearly has issues that have been untreated and yet to feel compassion for her demonstrates the skill of the writing and direction. Not only does Lawes take great care with passages of the film, but he also fills some brilliant scenes with thrilling urgency. With that aside, Monochrome does suffer drawbacks. Although the movie features a number of memorable performances (those mentioned already, but also James Cosmo as estranged artist Roger Daniels), the issues of this production’s professionalism do stand out. Whether it’s the poorly worked initial sequences or the tacky and amateur look/feel to some scenes (the ‘regular coppers’ are dressed in what look like costumes from a fancy dress shop), the film feels, in places, more suited as a television series. The lack of context, let alone secondary character development, takes some effect on the pacing as the setting inexplicably darts from one place to another - it does seem as if it could have been squeezed out to fit a six-part series. At a first glance, Lawes’ fourth feature film looks like it shouldn’t work. The budget for a big-time crime television series/film was obviously out of the question; it doesn’t have particularly well-known actors in lead roles guiding the film; the professionalism of its production is questionable at times. But the truth is, the script is original and the story telling is likable. Overall, above the negatives (of which there are a few), Monochrome does alright. 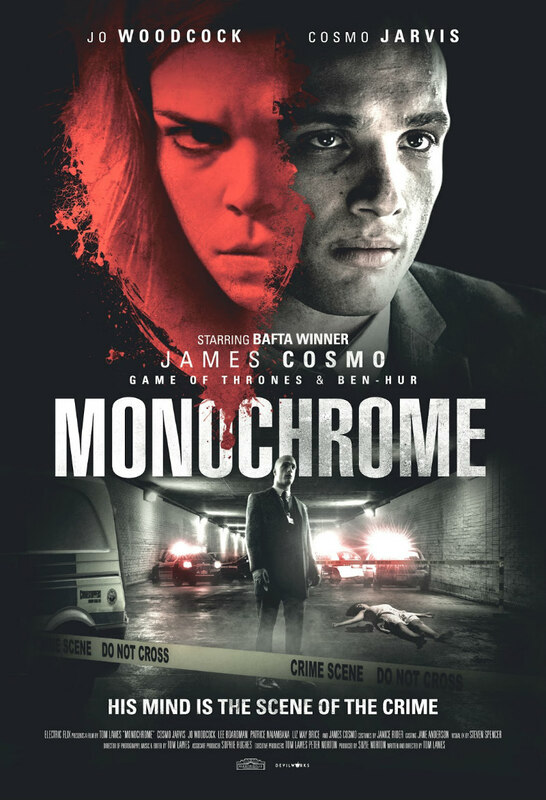 Monochrome is on DVD/VOD June 6th.